EISA 2011-2012 auhinnavõitjad meie tootevalikus! 2011 aasta augusti kolmandal nädalal kuulutas EISA (The European Imaging and Sound Association ehk Euroopa Pildi- ja Helitehnika Assotsiatsiooni – üle 50-t erilalast ajakirja ja neis kirjutavaid ajakirjanikke ühendav organisatsioon, mis hõlmab 20 Euroopa riigi audio-video toodetele spetsialiseerunud väljaandeid) välja 2011-2011 hooaja auhinnasaajaid. Ja meie suureks rõõmuks on auhinnasaajate hulgas palju tooteid, mis on ka meie kaubavalikus ja mida saame kõikidele soovijatele pakkuda. Osadel toodetel sel juhul ka soodushinnad! This three-way loudspeaker, which includes a pair of 165mm bass units, sounds powerful, dynamic and detailed, offering a great insight into all types of music – including movie scores. Crucially, while the Studio 190 has an exotic appearance, it remains easy to drive and is the ideal partner for a great many entry-level amplifiers and AV receivers. So much loudspeaker, so small a price tag. 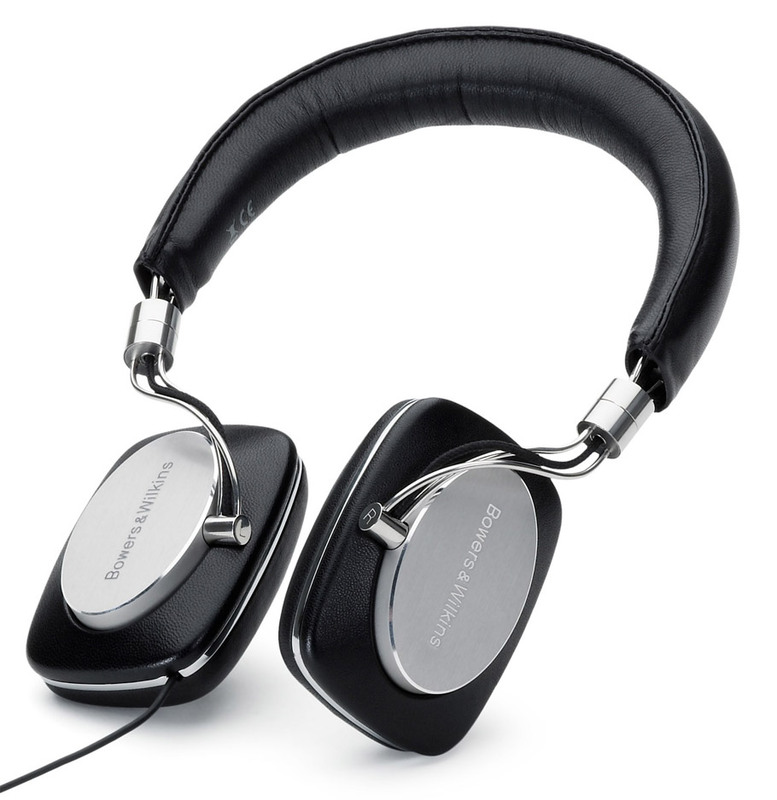 The Bowers&Wilkins MM-1 will be your best company for work or play on your computer. This stunning pair of 2-way speakers stands just 17cm high housing DSP controlled bass drivers and tweeters with nautilus technology and a built-in DAC. A stylish remote control and a USB or 3.5mm mini jack connection complete the set. Bowers&Wilkins P5 noise isolation headphones treat the listener to high quality music reproduction wherever you are. The deceptively light weight on-ear headphones feature real leather ear pads for comfort and a strong metal headband. The drivers use Mylar diaphragms and neodymium magnets offering accurate and efficient output. Supplied with an Apple approved remote and microphone, the P5's offer hands-free call handling as well as great sound. The sound is wide and open in mids and highs while the bass is deep and punchy even when driven from a smartphone or other mobile device. A fine set of headphones delivering fantastic reproduction and delicious good looks. 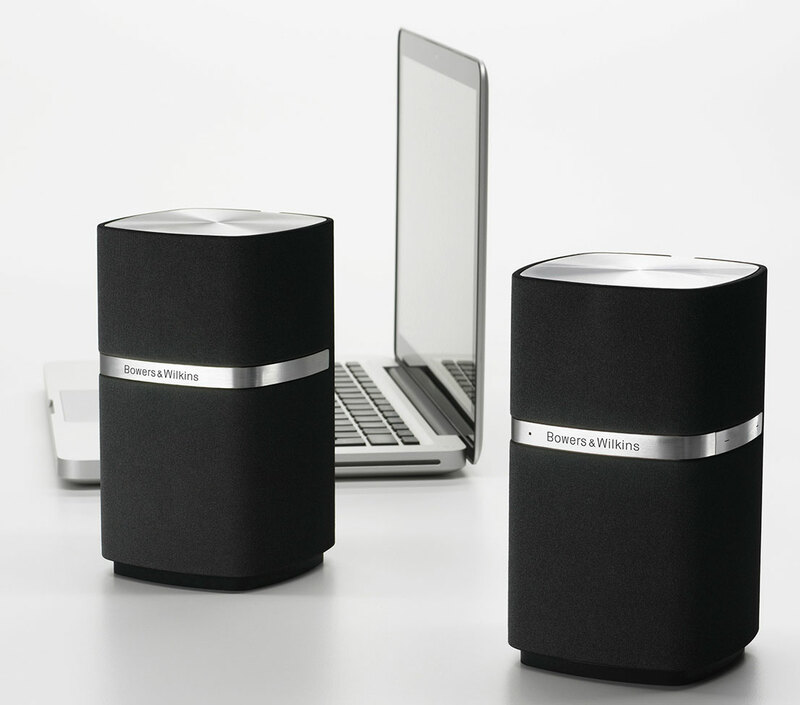 Bowers&Wilkins's new 'Air' version boasts improved sound quality and enhanced flexibility. Inside its radical enclosure are five new loudspeaker drivers – one woofer, two midrange and two treble units – each with its own DSP-controlled Class D amplifier. As you might guess from the name, the new Zeppelin also contains an Apple AirPlay wireless streaming receiver that will play music directly from your iTunes library. Moreover the central dock now makes a digital connection with your iPhone, iPod and iPad devices to replay your music with even higher fidelity. Cambridge 751BD universal player really does provide a one-stop platform to play all CD, DVD, SACD, DVD-A and Blu-ray discs, including 3D. Its core processor will decode all Dolby and DTS HD audio formats while a separate Marvell QDEO scaler delivers exceptionally high quality picture performance through its primary HDMI output. The 751BD is also replete with added connectivity. There's a Wi-Fi dongle included and wired Ethernet port to support interactive services via the internet plus an eSata connection for playing HD audio and video content, including FLAC and MKV files, from an external hard drive. The proprietary 7.1 channel audio stage is a development of the tried-and-tested circuit employed in Cambridge's 6-series CD players, promising superb sounds to match those excellent pictures. If you think all hi-fi loudspeakers are built into rectangular wooden boxes, then DALI makes us all think again with its stylish FAZON F5. Rather than use orthodox materials, DALI, the Danish speaker specialist, has worked with die-cast aluminium to achieve a highly novel and elegant loudspeaker shape. Not only conceived to be pleasing to the eye, its curved cabinet is also ideal for minimizing internal reflections while offering great rigidity. Not just a pretty face, the FAZON F5 also benefits from DALI's tried-and-tested wood-fibre cones and light silk dome tweeter. Available in high gloss red, black and white, this 86cm-tall sculpture comes with a purpose-built stand that allows your cables to be hidden from sight. 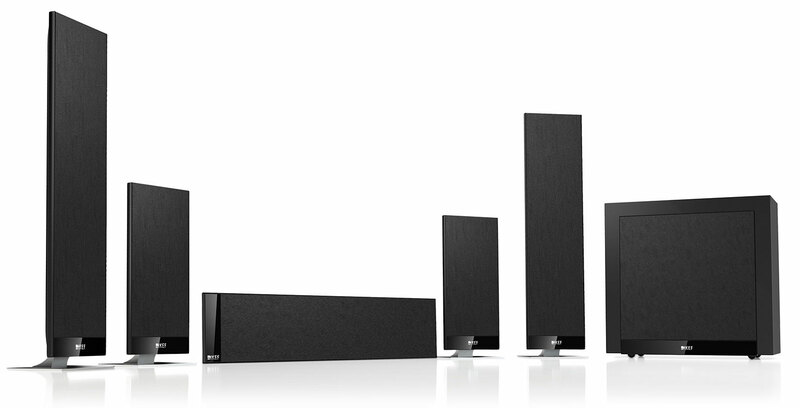 In the race to produce the slimmest home theatre loudspeakers, KEF is on the winners podium with its black T-series satellites that are a mere 3.7cm deep. These are not lo-fi panel speakers but employ proprietary twin-layered drivers, rather like a conventional cone made very rigid and shallow. Designed to sound impressive whether hung on the wall or mounted on KEF's floorstands, the satellites and partnering subwoofer are smoothly integrated into a cohesive system with little adjustment required on the part of the user. The subwoofer employs a 250W Class D amplifier, its elegant profile also optimized for use close to a rear or side wall. KEF's T205 speaker system is a skinny latte that's big on flavour. As an evolution of its Streamium series, Philips has added touchscreen operation and a pair of rather impressive loudspeakers to create a multiroom music system from its MCi8080 and NP3700. A DVD player is included for the main room while, in up to five separate zones, it delivers audio from a variety of sources including internet/FM radio and DLNA streaming from a home network. Included in the package is a 160GB external USB drive for storing your personal music and photos. At its heart is a 2x50W Class D amplifier, ushering an exceptionally smooth and detailed sound from the speaker's glass-fibre bass/mid and top-mounted treble units. And the icing on Philips' cake – you can control this system via free Android and iPhone apps. In the modern home theatre environment, features and connectivity are as important as sound and picture performance. The Pioneer VSX-921 excels in all these areas. It combines four 3D-compliant HDMI inputs with DLNA streaming of HD audio files over a wired network, internet radio and wireless music streaming via AirPlay. Under the bonnet there a total of seven discrete amplifiers with sufficient power to drive the vast majority of home theatre systems. Pioneer's familiar MCACC room correction regime is included, with the added flexibility of further fine-tuning via a PC application over the network. Last but not least, Pioneer's new AirJam iPad app offers an interactive way for friends to fill the party with music. 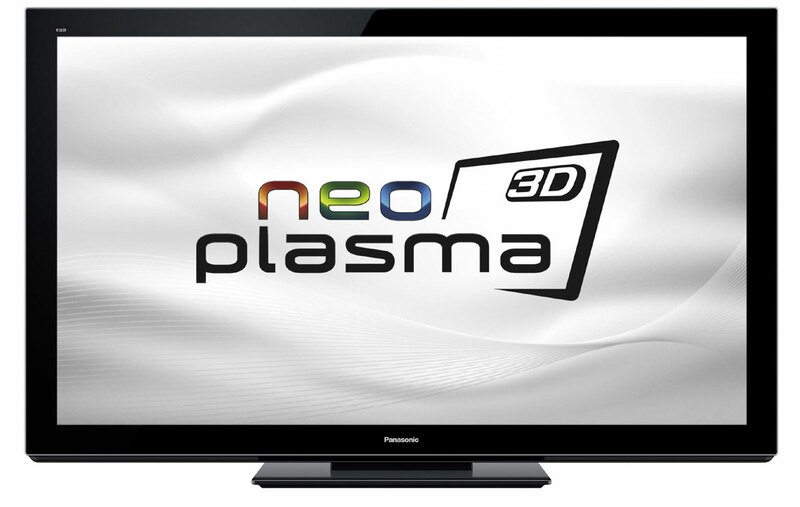 This top of the range Plasma brings a whole host of technologies together to offer breathtaking picture quality for 2D and 3D viewing. Customers are treated to stunning black level, striking contrast and realistic colours. Fast movements manage to look smooth and sharp simultaneously, while the VIERA Connect network features offer a comprehensive range of the latest web-based services. A built-in subwoofer ensures that audio is very rich and convincing. Digital programme material can be recorded to SD card, HDD or flash disc and a wide range of multimedia codecs can be played back via the USB port. Panasonic VIERA TX-P50VT30 delivers TV and movie entertainment at its best! As the first Sony Blu-ray player to benefit from an all-Sony chipset, the BDP-S780 succeeds in offering a new level of performance at this entry-level price. Its superb picture performance is aided in no small measure by Sony's proprietary 'image engine' while the viewing experience is enhanced with access to an on-line Entertainment Database Browser. The player even converts 2D movies to 3D and features DLNA streaming via both wired and wireless networks. Fast loading times are a given, even with Java-heavy BDs, while the same transport also plays CD and SACD music discs. Skype-ready and equipped with a basic, in-built web browser, the BDP-S780 opens up a new world of entertainment in your home. What is the CLiC? To describe it as a digital preamp or a streamer does not do it full justice. Better to think of it as a comprehensive unit which funnels internet radio and music files from a variety of sources – including wired and wireless networks and USB sticks, CD players and even analogue sources. At its core, the CLiC uses the company's M1 24-bit/192kHz DAC, and there's a large clear colour display to help navigate its menus. It boasts a total of seven digital inputs – iPod/iPhone/iPad, a network connection, front and back USB, two coaxial and one optical from which it delivers a wonderfully open and dynamic sound that's lively, communicative and punches well above its weight. 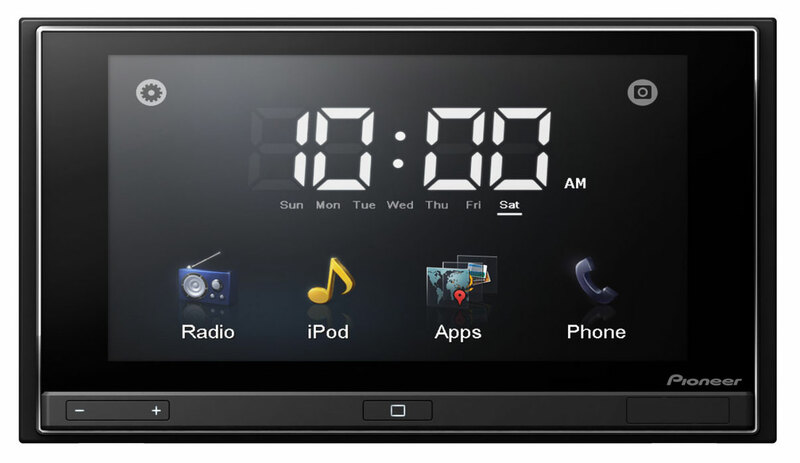 Pioneer's SPH-DA01 marks the start of a new generation of head units. Finally, the entire fantastic functionality of your smartphone reaches the car with the Pioneer AppRadio, a double-DIN head unit offering control of apps installed on current and future generations of iPhone or iPod Touch from its 6.1-inch touchscreen display. Owners of such mobile devices can look forward to using apps for example listening to internet radio, web browsing, running GPS navigation with much more to come. The Pioneer SPH-DA01 also includes standard features, like Bluetooth hands-free calling, AM/FM tuner with RDS, a rear view camera input, a 12-band graphic equalizer and a preamp output for connection to additional amplifiers. Listening-on-the-go becomes the ultimate Hi-Fi experience with the brand new Beyerdynamic T 50 p. Containing exclusive Tesla technology, the fast response, full metal drivers deliver transparent and detailed highs, impressive mids and powerful, yet natural lows. The beautifully handcrafted, retro design results in headphones that are so comfortable you can spend long hours relaxing and listening to music without discomfort. Sonically, performance is truly high-end even when listening to music processed by lower-quality compression processes and the enclosed design prevents disturbance to those around you. The sleek satin finish stainless steel is protected by a supplied carrying case.